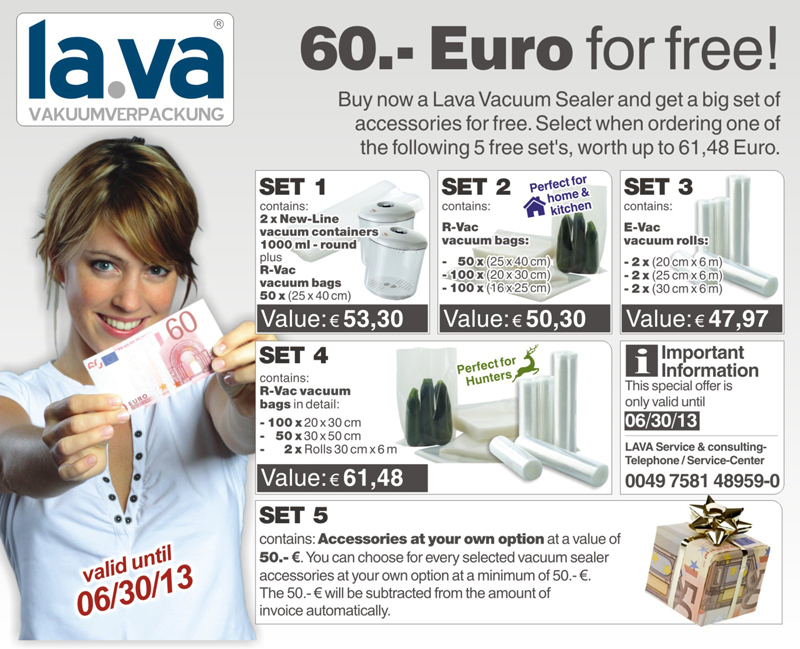 The maximum security - Vacuum Packing Machines by Lava Germany. The original to seal plastic, metal parts, electronic products, bulk goods, medicine devices, coins and bank notes, and much more. 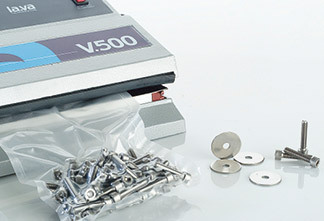 Vacuum Pack your products with a maximum safety and triple sealing. Therefore a Lava: Handy, transportable professional vacuum machines with up to 5 years warrenty at top price. Lava Vacuum Packing Machines are maintanence free (no oil change neccessary) and almost every product size can be sealed, because the vacuum bag is in front of the machine and not in a chamber. 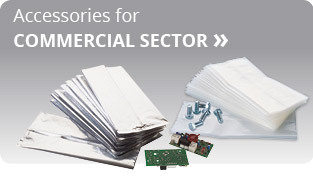 By the way: ESD- and Shielding-Bags (antistatic-bags) for electronic components can be vacuum packed as well. Bestseller! Lava Vacuum Packing Machine for industrial business. by dial gauge and variable pressure control for soft vacuum, adjustable sealing time and removable liquid trap. Available with single or a strong double sealing. Triple-Sealing Vacuum Packing Machine with 46 cm sealing bar, for bigger bags or 2 in one run. Full-Automatic professional machine, in a stainless-steel housing. Pressure indication by dial gauge, variable pressure control for soft vacuum, adjustable sealing time and perfect for ESD bags. Triple-Sealing Vacuum Packing Machine with 72 or 121 cm sealing bar, for bigger bags or 3 in one run. Full-Automatic machine, in a stainless-steel housing. Pressure indication by dial gauge, variable pressure control for soft vacuum, adjustable sealing time and perfect for ESD bags. Lava vacuum packing machines are perfect for industrial workers. Screws, electronic products and metal components have a common problem: the oxidation and the risk of surface damage. Therefore, the products of industry and commerce should be air packaged (vacuumized) to fix this in the bag, that slipping is impossible. 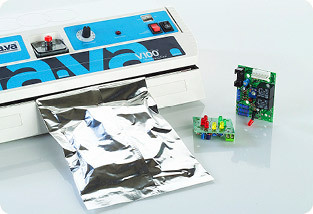 With a vacuum packaging machine by Lava, that is very simple. Even medical devices that must remain sterile, are perfectly protected by the vacuum. Plastic parts, clothing or bulk goods are in a vacuum bag safe from moisture and air. In sharp objects protect Linen or extra strong Lava RS -Vac vacuum bag with a film thickness of 160 mµ. Lava units with three welds and a sweatband length of up to 121 cm can handle multiple packages at the same time and with 3-fold weld safely. Lava films are great products to vacuuming effortless and can if necessary be produced in any vacuum bag size, which the custome needs.